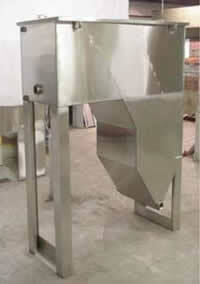 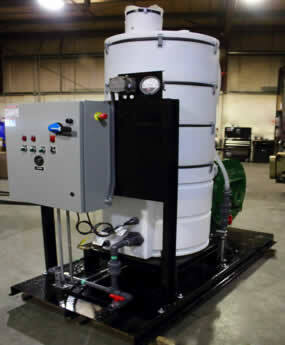 Product image of our Coalescing Systems. 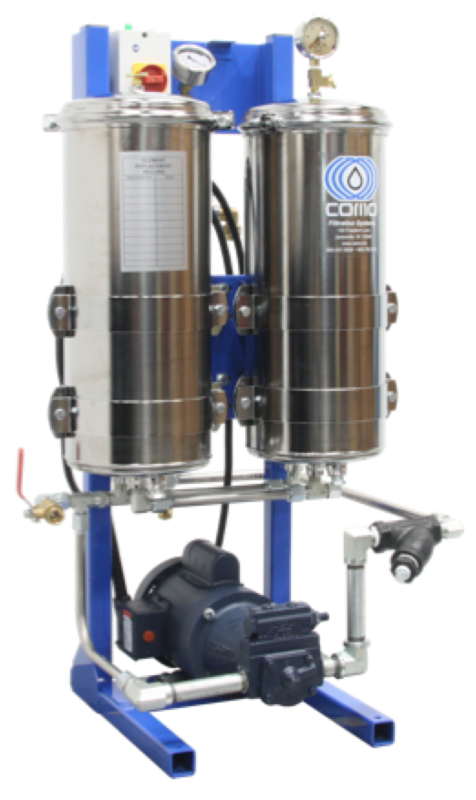 The COMO Vertical Tramp Oil Separator Coalescing Filter System will remove tramp oils from your coolant or wash water, thereby, both extending the life of your cleaner and improving the wash quality. 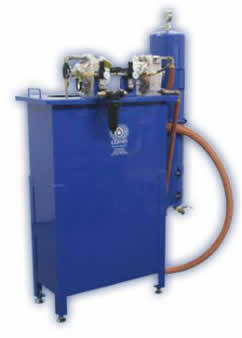 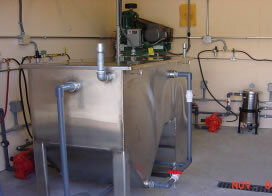 The coalescer works by first separating the oil droplets from the wash water or coolant. 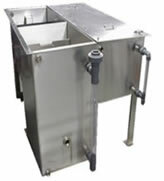 These small droplets are then attracted to the coalescing media where they accumulate and combine with other droplets until they are big enough to flow to the surface where they can be removed. 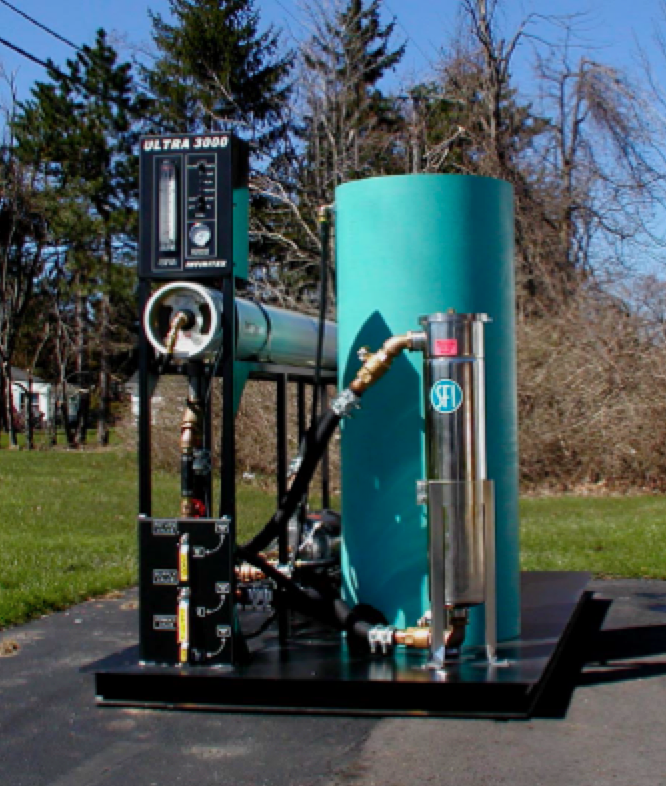 These COMO separators come in several sizes from the TS-3 portable system to the Model 450/5 which has a maximum batch capacity of 450 gallons.